Here you receive information conformable to §5 E-Commerce law and a disclosure conformable to §25 of media law. Despite thoroughly monitorings, we can´t furnish guarantee on accuracy and actuality. The used media and graphical material is property of NG Green Technology. No subsequent utilization of text and/or visual material without prior permission. As far as possible, the links on our homepage are controlled and up-to-date. However, we don´t furnish guarantee and refrain from inappropriate content on the target page. In case any personal data appears on the website (name, address or email) this always happens by individual choice. It is not allowed to use any released contact details by third parties to send promotion that hasn´t been explicitly requested. 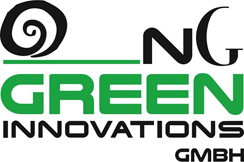 NG Green Technology reserves the right to take legal actions in case of unsolicited advertising by spam or email.